Ogilvy South Africa had significant wins at the Creative Circle Awards 2018, as Ogilvy Cape Town was ranked top performer on the night with three category wins. Ogilvy Johannesburg placed second in the Agency of the Year rankings, and Ogilvy South Africa shared Group of the Year with TBWA. 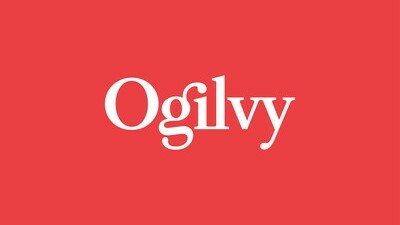 Ogilvy took home a total of eight awards. "We’re honoured to be recognised so generously by the industry," says Pete Case, Ogilvy South Africa CC. "It’s been a year of tough competition in our industry. We’re especially encouraged to have won in such diverse categories — Digital and Interactive Campaigns, as well as PR, Media, Live and Out of Home." "This confirms that our skills are relevant across the modern marketing space and enables clients to effectively connect with consumers in a multitude of mediums,” adds Case. "Our industry is tough but exciting and we have tremendous respect for all our agency counterparts. Congratulations especially to TBWA." The Overall Group Award saw several divisions consolidated into a single entity, with one point of client contact. According to Ogilvy, it recently completed its ‘Next Chapter’ refounding, expanding its capabilities across the entire marketing value chain through retail partnerships, growing the PR and influence capability and launching the social-media e-commerce division Social.Lab. The Creative Circle is a non-profit organisation that believes in promoting creativity as a business resource, maintaining high levels of creativity in South African advertising and providing input into industry bodies. It aims to inspire the transformation of product, people and perception through the power of creativity. Ogilvy was recognised for winning work done for a range of clients — KFC, Carling Black Label, Kimberley-Clark and DSTV — in categories including PR and Media, Live, Out of Home and Digital and Interactive. 1st place in Digital and Interactive: Ogilvy Johannesburg — Huggies Baby Marathon.